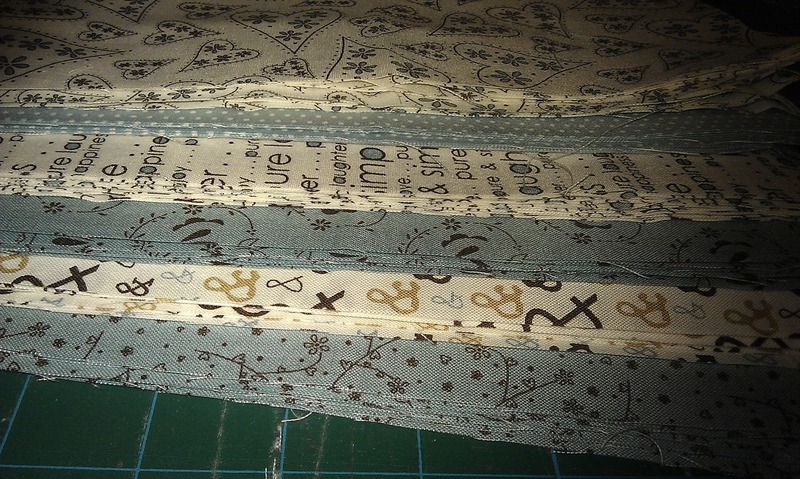 I have been asked to make two quilts (which I will get paid for :-) for babies due about Christmas time. One will be a boy, so blue please, and the other will be a surprise, so creams for that one. I have an idea for the cream (but no fabric) I saw a vanishing 9 patch where the un-cut squares were 9 patches, or pinwheels, or HSTs so I think that will be the idea for that one. The tops have been sewn into strips, not flimsies, as I will join the strips to each other and to the wadding and backing as part of the basting / quilting stage. 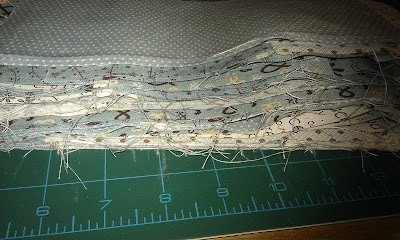 (Have a look at this post to follow my lazy quilt as you go shortcut). Most of my recent quilts have gone straight onto a fleece blanket, but these two will have wadding and backing, so I just have to go to the shop to get the creams and the backing fabric - such a shame!!! Yay for getting paid to do what you love, and such a shame you HAVE to go shop for fabric. What a pity. Glad to see you getting some sewing done. That's gong to be lovely! 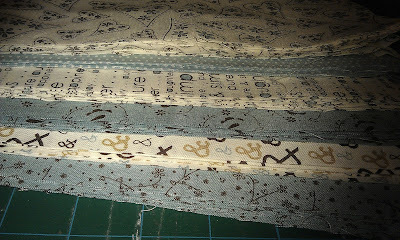 Benta I love the fabrics you have chosen, it will make a great quilt. I still think you do a lot.